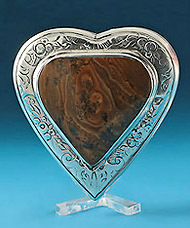 rare and varied of antique British silver boxes". and standing on a flower sided mound playing a lute. Here he plays the lute, and is likely in pursuit of a pretty lady. 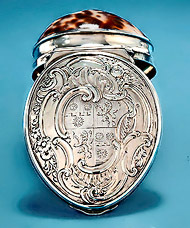 "British Silver Boxes 1640-1840 : The Lion Collection", John Culme. and again as Coll. no. 107, p. 113.
doves, squirrels and baskets of fruits among foliage. 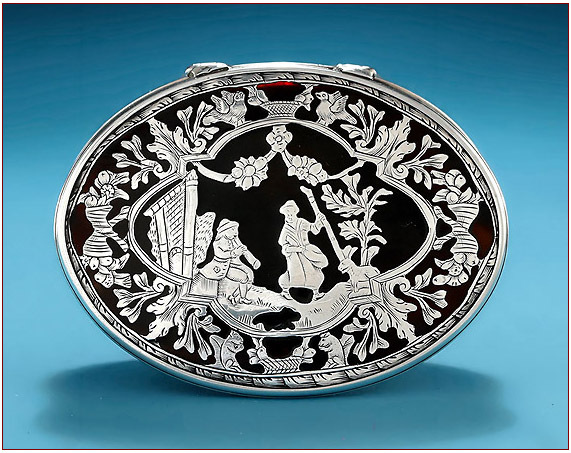 and the history of the silver and jewelry trades, having begun at Sotheby's in 1964. 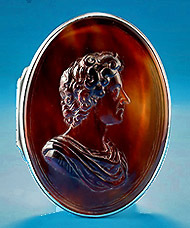 Jewellers & Allied Traders, 1838-1914", published by the Antique Collectors' Club in 1987.
held at Sotheby's, London, in January 1991. 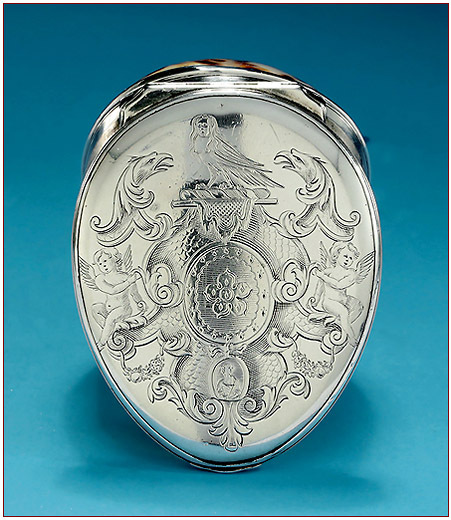 John Culme's book, "British Silver Boxes 1640-1840 : The Lion Collection"
has resulted in a collection of quality, rarity, and variety. 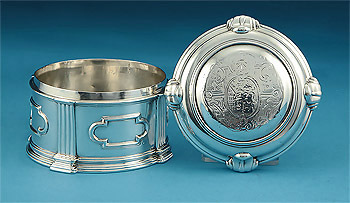 He has included 280 boxes, for tobacco and snuff, plus a few vinaigrettes, nutmeg graters and spices. 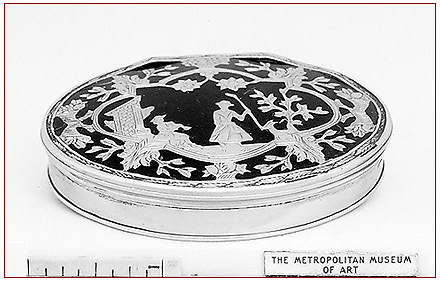 enabling the reader to see how shape, style and decoration changed", from the 17th through the 19th century. but about some of the colorful individuals for whom these boxes were crafted. put together over 40 years by a 'discerning English collector'." 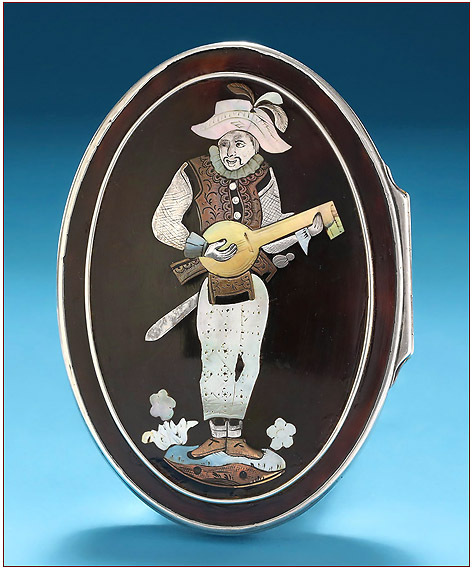 Equally as intriguing is the collector himself, referred to often as simply "the Londoner". His identify is never revealed - but there are a number of conjectures. 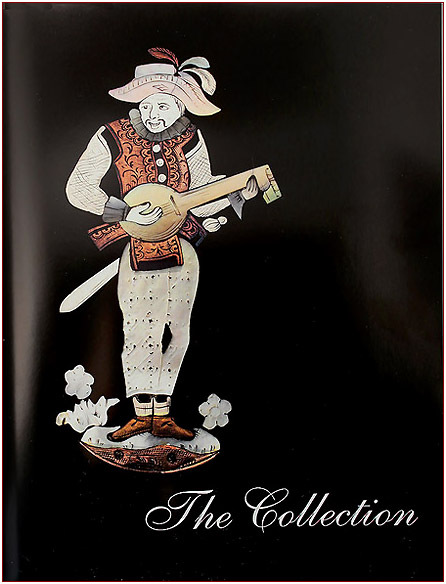 This collection spans five centuries with a great variety of types and nationalities. "excellent condition, historical interest, and inherent quality, most being of museum standard". To these qualities was sometimes added "the extra joy of the quirky or amusing". 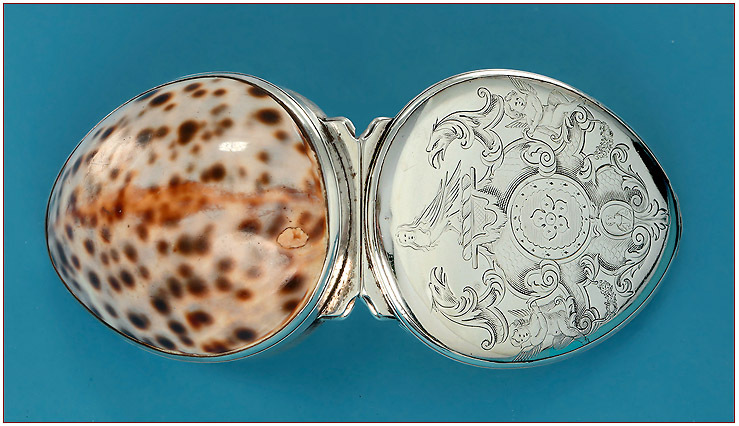 An early acquisition was a 1691 armorial tobacco box, both its time period and use affecting his focus. 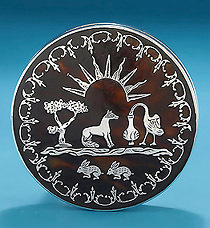 made or tobacco and its scented derivative snuff... all being "small, tactile and personal". 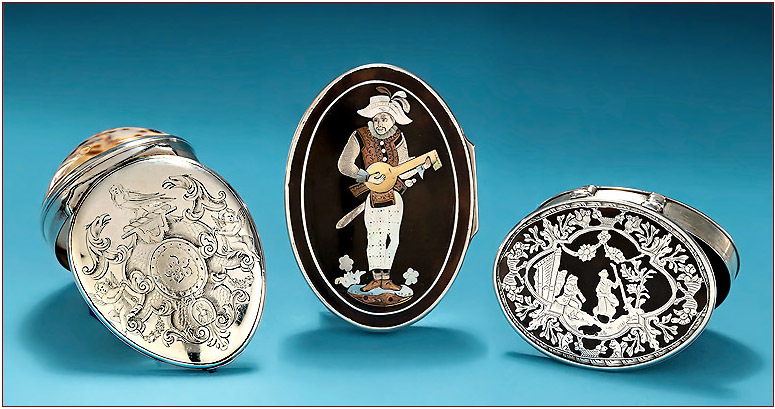 It is with the greatest pleasure that we offer these three fine boxes. Please click on the images above for more images and details. © The images and text herein are subject to copyright. please request permission and attribute properly.